The PADI | SDI or TDI Sidemount Diver Course available in Koh Chang Thailand. 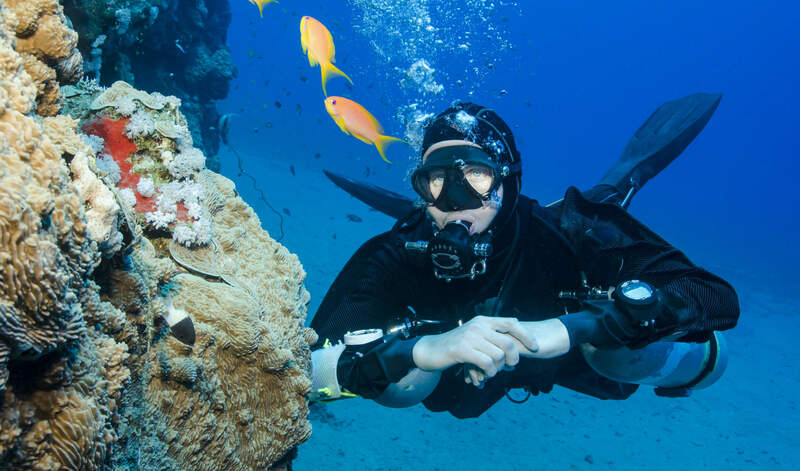 Sidemount Diving is very popular as it comes from Technical Cave or wreck divers to Recreational Diving. we offer TDI, PADI and SDI Sidemount Diver course. Which gives you the opportunity to dive with 2+ cylinders for extended dive times. The Tec Sidemount Diver course is a great way to, start into technical diving. because the skills you learn in this course will train you to handle multiple cylinders on a single dive. You can combine what you learn in the Tec Sidemount Diver course with other open-circuit tech and Recreational Courses that you take. Or certifications you’ve already earned. To take advantage of sidemount’s cylinder configuration and handling advantages. This course is not only recommended for Technical Divers.If they would like to become cave divers or Advanced Nitrox Divers. Or would like to do their Extended Range or Trimix 60 course on Sidemount. No it is a great way to Explore new Limits also in Recreational Diving.